Accurate Armour is a well respected resin model company based in Scotland. 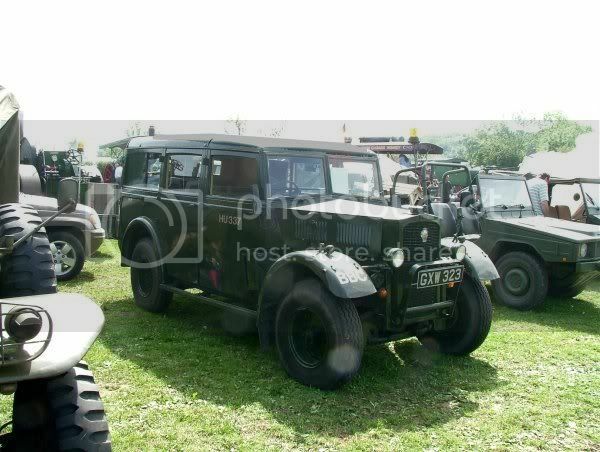 They specialise in British vehicles, both for WW2 and post war. They also do a number of naval craft and accessories and supply a range of other manufacturers’ products. 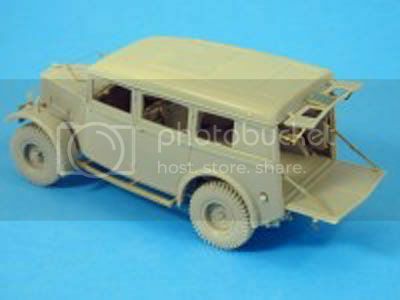 There are few 1/35 plastic British vehicles around so if, like me, you are interested in this area of modelling sooner or later you will probably turn your attention to the resin manufacturers. 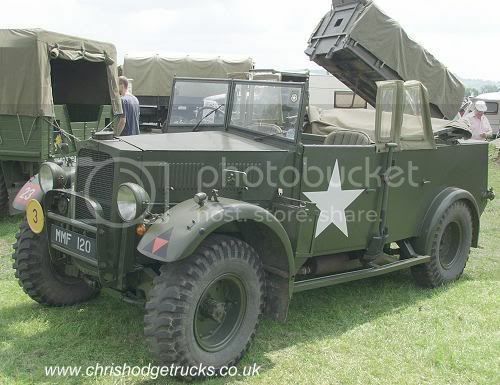 I am not an expert on this vehicle, so I can’t tell you if it is 100% accurate, what I can say is that it would appear to give the modeller a highly accurate and interesting vehicle to add to their collection. I have built a number of their conversion sets and used their accessory sets and I have always been delighted with the quality of the product. My first experience of a full resin kit was with the Austin ‘Tilly’ which I found much easier to build than I first feared. That prompted the purchased some 18 months ago of the ‘Humber Box’, which is only now seeing the light of day. 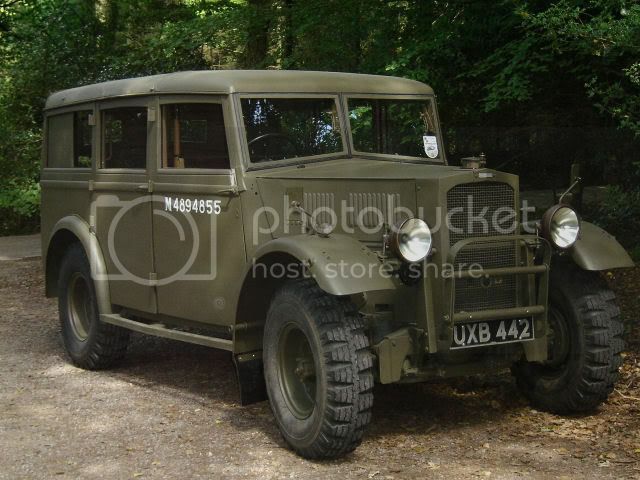 The set provides a complete model in polyurethane resin and etched brass, with a full interior, engine detail and decals of the Humber FWD 4x4 Heavy Utility vehicle better know as the Humber ‘Box’. The parts come packed in a study and professional box, sealed in 4 plastic zip bags, the box being lined with shredded paper for added protection. On the box top is a good colour picture of the completed vehicle. Made in a light grey polyurethane resin, the parts themselves are crisp and well defined with good internal and external detail. I could find no damage or air bubbles within the range of parts. They will require a little cleaning up so patience and care need to be applied as with any resin kit. The chassis comes fixed to the floor of the vehicle, there is good sharp detail underneath, showing the fuel tank and lower part of the engine. This should facilitate building the kit, yet take nothing away from the detail underneath. The reverse side also has the top part of the engine moulded in place and good crisp detail is displayed on all the elements here too. A little clean up will be required around the engine just to remove some flash. The roof comes with the hatch removed and a detailed layout of the inside frame and lights within the vehicle. The front window screen is also moulded to this part which again should facilitate building. Both side panels have internal detail on the doors and the frame where appropriate is shown. Even before clean up these fitted snugly to the floor of the vehicle. The tyres are nicely detailed and a spare is provided should you wish to mount it. I haven’t been able to get a good picture for reference for the tread pattern, but I have no reason to think it is not correct. The model being detailed inside and out provides a number of options with the possible with the rear seats raised or lowered and the same option is given with the rear vehicle door. The roof of the vehicle has been cut and can be added in the open position to allow better visual access to the interior or in the closed position if you wish. All the remaining small resin parts are highly detailed as is the front bulkhead both with instrument layout and detail moulding for the engine bay. Manifolds, and Carb, exhaust down pipe, engine fan, radiator are all provided for the engine as are the accelerator pedal, brake/clutch pedals and hand brake lever, steering column gear lever etc. Both front and rear seats come with moulded in detail, there should be no need for milliput here. Front, rear and side curtains are also provided for the kit. The kit comes with an etched brass fret and a full list of these parts is contained on page 8 of the instructions. Of note here are the PE driver’s window screens which can be shown in an open or closed position, complete with appropriate hinges. 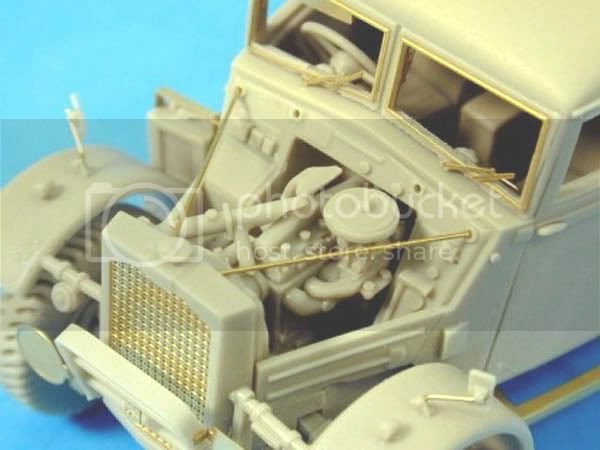 The set provides a clear sheet of plastic to facilitate making the windows and a number of lengths of brass rod to make the radiator stays, handles, wing mirror posts and map table support. A small plastic rod is also included to provide the foot rests in the rear of the vehicle. 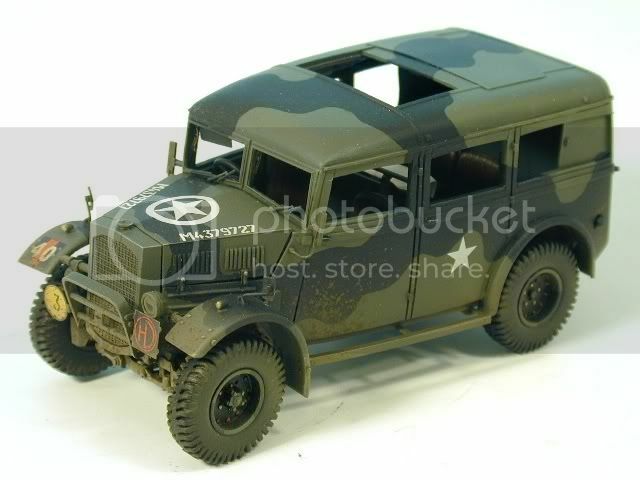 A full set of decals is provided with the kit, giving a wide range of finishing options, both Army, Civilian (as a BBC vehicle), or as a vehicle from the RAF, and general painting instructions are included at the bottom of page 11. Over all I think this is an outstanding kit, giving excellent internal and external detail and with a wide range of finishing options. Designed and engineered to an extremely high stand as we have come to expect from Accurate Armour. The addition of both closed and open map tables is a nice touch, as is the folded or raised chairs option. The detail is sharp and crisp and this model should build into a very good kit indeed and in the hands of an experienced builder an outstanding one. My only observation is that it would have been better if the side doors came as separate items thereby giving the kit more flexibility in display, although I do understand the fit problems this might cause. With such a detailed engine the same might be observed with the bonnet, being one complete piece, but investigation will reveal if that could be altered slightly to display the innards. 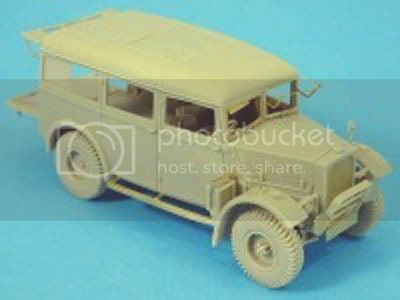 If you build this vehicle with patience and care you will have a unique model of a widely used Allied vehicle to add to your collection. This is a vehicle that can be utilised in any theatre of war and should produce a quality model either as a stand alone kit, or add that something extra to any scene. Highs: Quality casting, a wide variety of finish options, and delightful detail inside and out. The addition of a finish as a BBC vehicle is probably unique and the RAF option will be a plus for some. Lows: As with any resin kit cost is the big issue, but with this one you do get, I believe, fairly good value for your money. The closed side doors mean slightly fewer options may be available for display. Verdict: Everything you need is included in the kit, so it will only require your personal touches to finish it off. Another excellent vehicle from Accurate Armour. Highly Recommended. Nice review of something which may well find its way into my personal stash sooner than later. The BBC version looks like an very interesting project for a small diorama. Wonder if Pathe used them as well? I was wondering it anyone knew how many of these were produced and did it get to see most theatres of the War ? For some reason it strikes me as sturdy, good looking vehicle.